DAY 10: These are my kids’ favorite Christmas cookies. 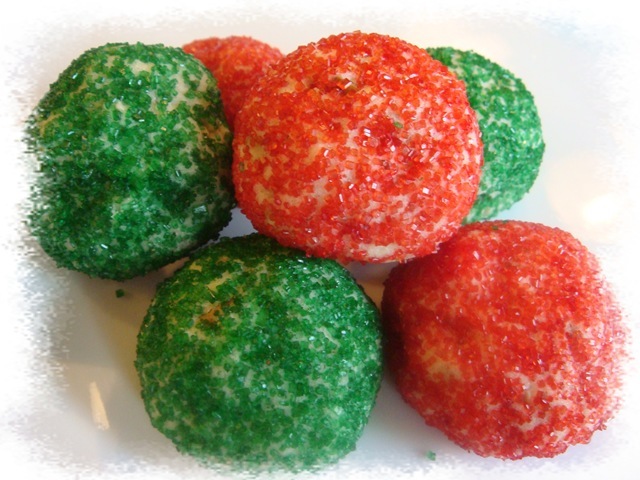 They call them “Red and Green Ball Cookies.” Even the child who thinks she hates nuts loves these cookies. They were one of the cookies that I loved to make with my Mom every Christmas. They are a lot of fun to make with kids, even if they do leave your fingers (and the lips and tongues that lick those fingers) stained red and green for the next 24 hours. Yes, Little J did roll all of these cookies in sugar for me. She’s an awesome helper! 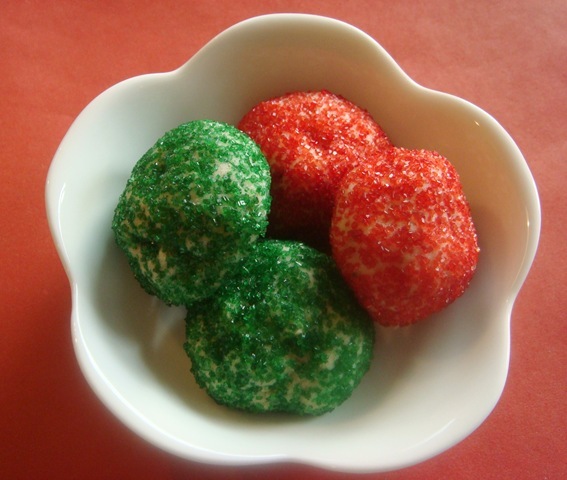 Also called Mexican Wedding Cookies, these cookies can be made all year round without the red and green sugar. Just bake them plain and then roll the warm cookies in powdered sugar. Beat butter, sugar, vanilla and salt on low speed of a mixer for 1 minute. Add flour; mix just until combined. Stir in nuts. Roll into 1” balls. 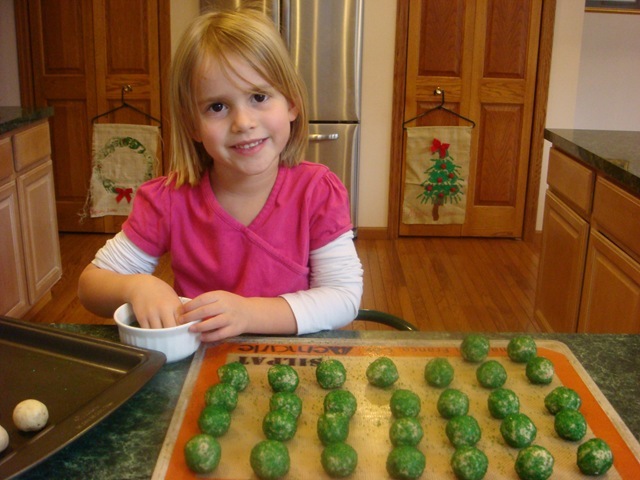 If using colored sugar, roll balls in sugar and place on ungreased cookie sheets. Bake for 8-10 minutes, until firm to touch, but not brown. If using powdered sugar instead of color sugar, roll cooked cookies in powdered sugar while still warm. I’m so glad you liked them! I hadn’t planned on making them this year, but after many protesting children, we broke out the red and green sugar and had a batch done before school today.